A flower girl is an essential part of any classic wedding and flower girl wedding gifts will make her feel extra special. Finding a gift for a dear little lady is easy with a list of perfect gifts ready for the occasion. There are many to choose from including flower girl jewelry gifts, flower girl personalized gifts and fun gifts such as crafts and toys. Make her day as special as yours and she will remember it always. Maybe not in memory depending on her age, but definitely in pictures and photo albums. Flower girl jewelry gifts are a thoughtful sentiment that a flower girl can keep forever. How nice to have a gift that can be enjoyed over time and spark special memories of your wedding day. A wonderful way for a flower girl to remember her special part in your wedding is with a lovely photo. This delicately detailed frame will hold two wedding photos of your flower girl and bride/groom. If you are looking for a flower girl wedding gift memento of your wedding, this frame is a great choice. Flower girl wedding gifts are a gift of thanks for sharing your wedding day. Some flower girls are too young to remember the day or receive a gift with meaning. For these young tots, a toy gift is in order, and they will be thrilled. This selection of toys carries a flower and garden theme to fit in with the flower girl title. Each of these is cuter than the next and would make excellent flower girl wedding gifts. A very special flower girl wedding gift full of the sweetest dreams and magic. 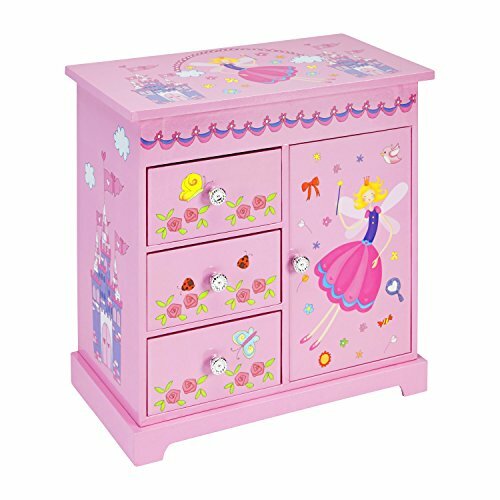 Every flower girl would love to have a beautiful musical jewelry box to hold treasures and trinkets. This is just the right size for a little girl’s jewelry collection. Plenty of room for bracelets, earrings, necklaces and rings. A delicately detailed necklace with sparkling crystal accents is a timeless gift to enjoy from little girl to lovely young lady. 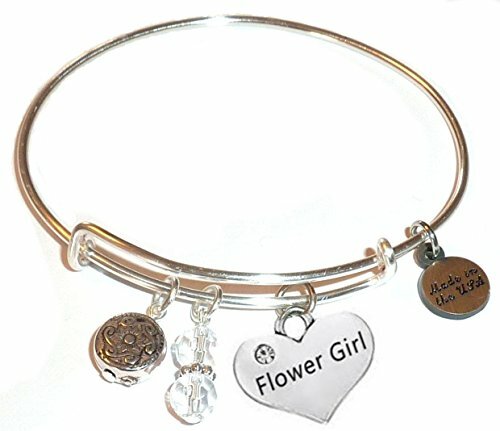 Flower girl jewelry gifts are always a great choice and one that is exciting for a little girl to receive. What makes this gift even more special is the pretty crystal initial personalized heart. 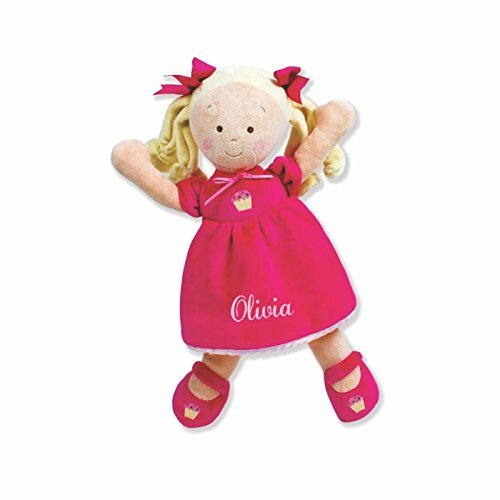 If you are looking for the right gift for your flower girl, this soft and lovable doll is a great choice. A cute and cuddly doll is just right for a toddler flower girl. Personalize this gift with her name and it will always be a special keepsake that she can hold dear to her heart. 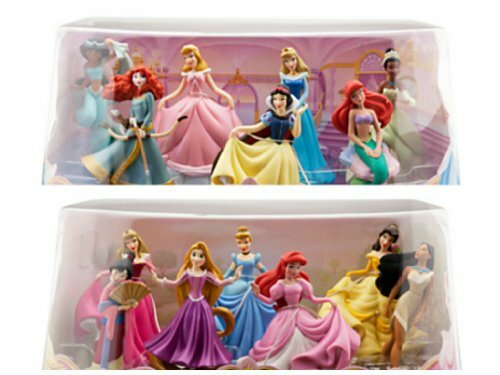 She will love an adorable Disney Princess play set for fun playtime long after wedding day. 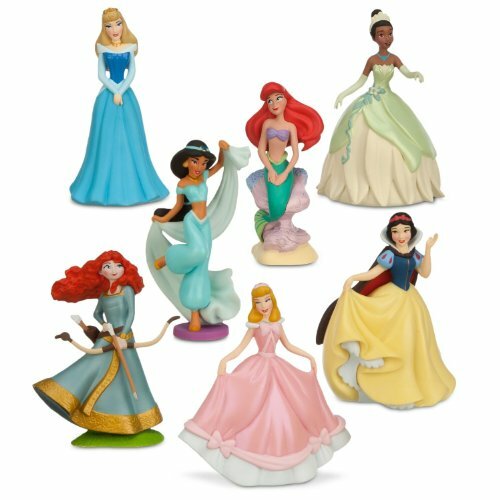 Bundle – 2 Items: Disney Princess Mini-figure Play Sets #1 and #2 – 14 Pc. These are so sweet! I still have the charm bracelet I received for being a flower girl in my aunt’s wedding in 1964. Yes, that was over 50 years ago. I remember the bridesmaid’s luncheon where I received it too. It was all so special. I made memories that have lasted my whole life. Best wishes to all the brides and their flower girls! I’m helping a friend plan a wedding and we haven’t quite got to the gifts yet so I’ll be saving your link. Thanks for sharing! I love the doll and bracelet ideas. These are darling ideas for a flower girl. I especially adore the initial necklace. I know my little one would, too. I love the bracelet, so pretty and simple. Something a little girl can save and cherish. Thanks for the share on this! I need something for my flower girl! What a lovely range of gift ideas to suit all taste. 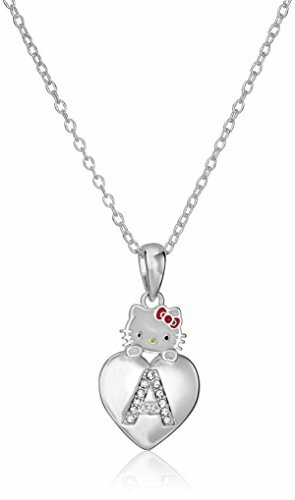 I love the necklace as it would make a lovely keepsake memory. its wedding season and flower girls are so precious. These are all appropriate gifts to give to the little pretty flower girl of the wedding. These are super cute ideas! I think giving them a special gift is awesome! I love the initial necklace! What lovely present ideas! My daughter was a flower girl last month and she would have loved any of these! The bracelet is sweet. I agree being a flower girl makes for precious photo memories. This is so cool. I would have loved giving some of these to my niece as she was my flower girl. So very cool. I love the charm bracelet. Such great gift ideas for the flower girl. Very thoughtful post. That charm bangle is so very cute. That would be such an awesome gift!